We live in interesting times. As the USB Type-C standard slowly spreads, we're left with three different USB ports in operation. 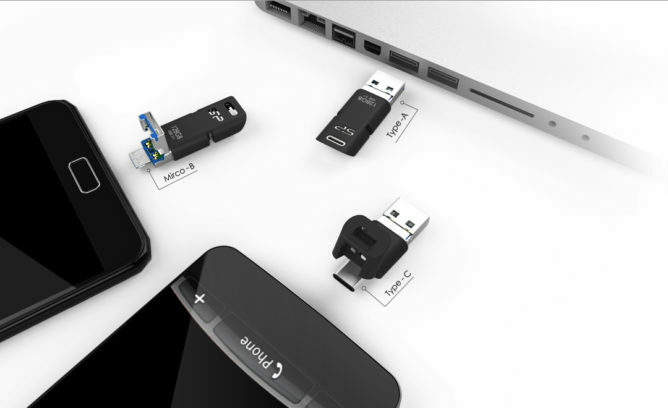 There's USB-C, USB-A, and microUSB, but no longer will you need different flash drives for all those devices. 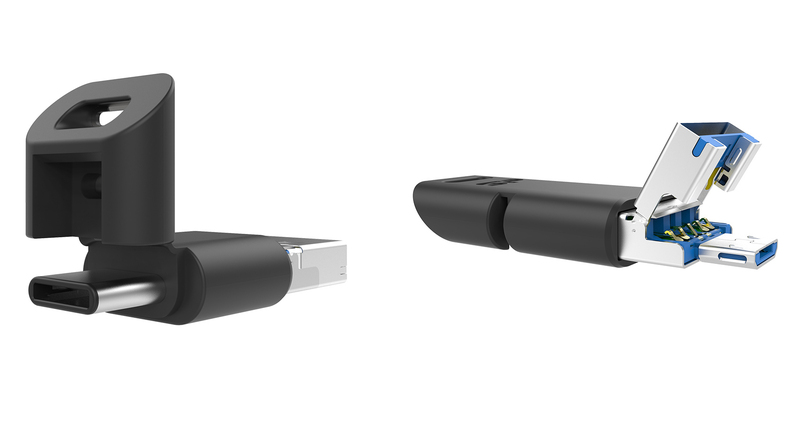 A company called Silicon Power has announced a flash drive that has all three connectors, and it doesn't look as awkward as you'd expect. The C50 has a Type-C plug at one end and an old USB-A plug at the other. However, microUSB isn't dead yet, and probably won't be for a few years (budget phones still come with that port more often than not). So, you can flip the USB-A plug up to reveal a full microUSB connector. The mechanism looks like it might be a little delicate, but it's hard to tell from the render. The Type-C end can transfer at 5Gbps and the USB/microUSB can hit 480Mbps. Check out those ancient Sense UI buttons, too. The C50 will come in 32GB, 64GB, and 128GB capacities when it goes on sale in a few weeks. The price hasn't been announced, but it'll probably command a modest premium compared to the various dual-connector USB drives.